This year’s literary hit, the much celebrated Love, Nina is a book worth all its plaudits. It’s a wonderfully heart-warming book with a rapier-sharp wit that cuts through any smugness, a potential hazard in a book where it’s normal for Alan Bennett to pop round for tea and people sprout ancient Egyptian when discussing a dog hanging out by the bins. The Nina of the title moved to 55 Gloucester Crescent, NW1 from Leicestershire in 1982 to work as a nanny to Sam and Will Frears. Their mother, Mary-Kay (MK) Wilmers was deputy editor of the London Review of Books; their father director Stephen Frears (the couple were divorced and Frears has only a cameo in Love, Nina). Alan Bennett (AB) lived across the road and would often pop round for dubious sounding 80s suppers. Inspired by her booky surroundings, Nina goes on to study for an English A Level while minding S&W and later enrols at Thames Poly, but she’s still a regular visitor at 55 (she even ends up moving back into the nanny quarters, even when she’s no longer the nanny). 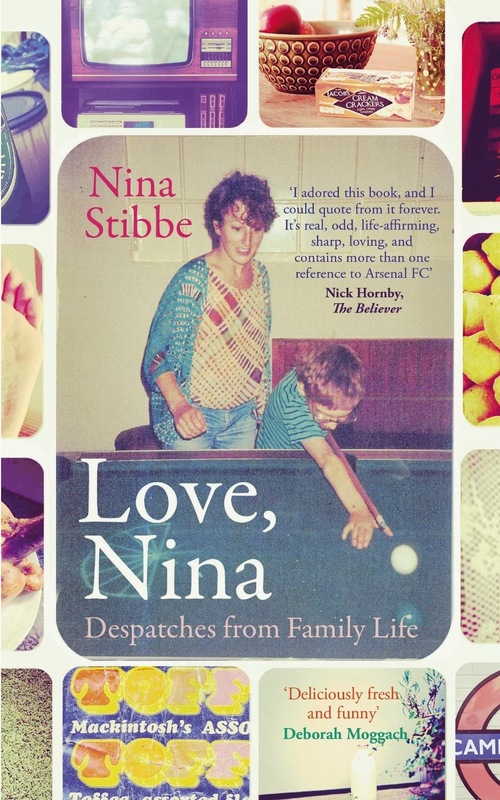 Love, Nina is a sharp and witty book of letters that she wrote to her Leicester-living, London-hating sister Vic. They are full of wonderfully witty observations detailing the everyday domestic dramas of her adopted family. Written like a script in progress, the letters often contain snippets of the day’s conversations at 55. The Frears/Wilmers family (+ Bennett) are a bright, liberal bunch and their supper chat reflects this – not that they discuss Goethe over dinner (it’s more likely to be the humming fridge), but there’s a captivating and charming intelligence even in their most banal chat. This is a delightful book that shimmers with humour and warmth, showing a microcosm of brainy north London in a breezy series of incidents on Gloucester Crescent, a place where it’s routine to borrow saws from Jonathan Miller, and Shirley ‘Lace’ Conran annoys the neighbours with her dodgy burglar alarm. This is a world where the f-bomb is dropped over dinner as casually as discussing the right way to cook new potatoes (do not mash). Nina is an engaging writer and her ear for dialogue enables her to pick out the humour from the smallest of events (mislaying Jonathan Miller’s saw, AB fixing the fridge). Love, Nina makes you wish that you sitting around MK’s kitchen (MK sounds terrifying, but brilliant) eating badly cooked tarragon chicken, discussing the strange sexual preferences of Nina’s fellow students with AB (not with him, to him) while also inspiring you to re-read Chaucer (despite Nina finding it as frustrating as I did when I read it for my A Level). A truly joyous book, read it on the bus at your peril. This entry was tagged Alan Bennett, book, book review, letters, London, Mary-Katy Wilmers, Nina Stibbe, NON-FICTION, Sam Frears, Stephen Frears, Will Frears. Bookmark the permalink.